Eligibility of getting loan: Whom the bank Grant Credit, Is the Borrower Creditworthy? The question that must be dealt with before any other is whether or not the customer can service the loan-that is, pay out the credit when due, with a comfortable margin for error. This usually involves a detailed study of six aspects of the loan application- character, capacity, cash, collateral, conditions, and control. 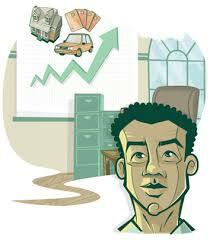 All must be satisfactory for the loan to be a good one from the lender’s point of view. The loan officer must be convinced that the customer has a well-defined purpose for requesting bank credit and a serious intention to repay. If the officer is not sure exactly why the customer is requesting a loan, this purpose must be clarified to the bank’s satisfaction. Responsibility, truthfulness, serious purpose, and serious intention to repay all monies owed make up what a loan officer calls character. The loan officer must be sure that the customer requesting credit has the authority to request a loan and the legal standing to sign a binding loan agreement. This customer characteristic is known as the capacity to borrow money. For example, in most states a minor (e.g., under age 18 or 21) cannot legally be held responsible for a credit agreement; thus, the bank would have great difficulty collectors on such a loan. This key feature of any loan application centers on the question: Does the borrower have the ability to generate enough cash, in the form of cash flow, to repay the loan? In general, borrowing customers have only three sources to draw upon to repay their loans: or (a) cash flows generated from sales or income, (b) the sale or liquidation of assets, or (c) funds raised by issuing debt or equity securities. Any of these sources may provide sufficient cash to repay a bank loan. In assessing the collateral aspect of a loan request, the loan officer must ask, does the borrower possess adequate net worth or own enough quality assets to provide adequate support for the loan? The loan officer is particularly sensitive to such features as the age, condition, and degree of specialization of the borrower’s assets. The loan officer and credit analyst must be aware of recent trends in the borrower’s line of work or industry and how changing economic conditions might affect the loan. The last factor in assessing a borrower’s creditworthy status is control which centers on such questions as whether changes in law and regulation could adversely affect the borrower and whether the loan request meets the bank’s and the regulatory authorities’ standards for loan quality.